Carl Bechstein set out to manufacture a piano able to withstand the great demands imposed on the instrument by the virtuosi of the time, such as Franz Liszt. In 1857, Liszt’s son-in-law, Hans von Bulow, gave the first public performance on a Bechstein grand piano by performing Liszt’s Piano Sonata in B minor in Berlin. 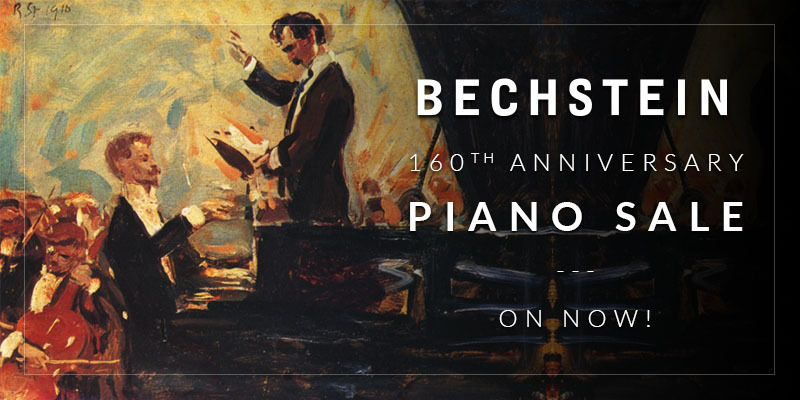 For over 160 years, Bechstein pianos have held a reputation as among the finest pianos in the world, competing with Bösendorfer and Steinway in construction, performance and tonal quality. The great composers Liszt, Wagner, Brahms, Debussy, and many others remarked on the marvelous tone they produced. Visit Showcase Pianos today to discover the whole family of Bechstein pianos: C. Bechstein, Bechstein, and W. Hoffmann!